I’ve been promoted to driving the company truck and picking up trash at the nearby group campground and at the parking lot on the days off of the co-worker who is normally responsible for trash detail. The other day I was getting the trash from the two cans near the restrooms in the parking lot. 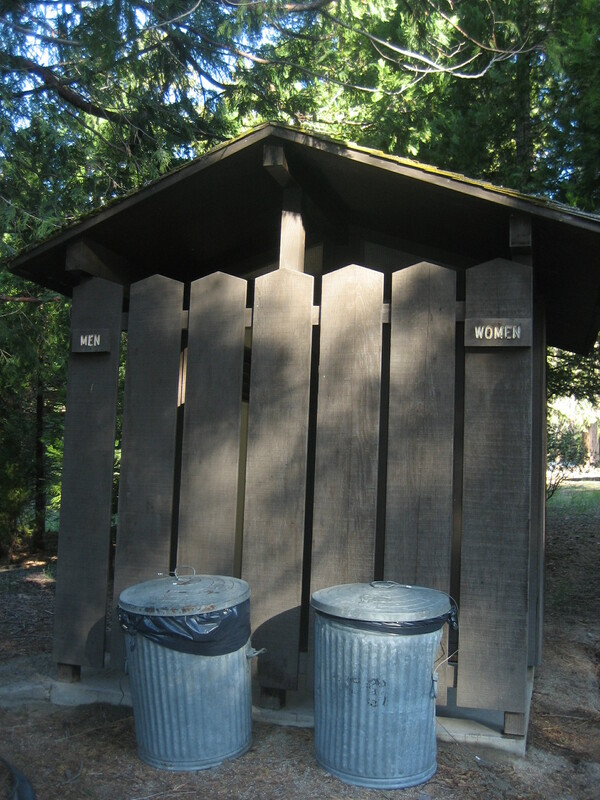 A man and a woman approached the doors to the restrooms. The man had on a ball cap and a t-shirt and pants of some kind. He was nondescript. The woman I can best describe as citified. If she wasn’t from L.A., she wanted to be. She was one of those women who’s worked so hard to look like Western society’s ideal of a woman that she looks like a drag queen. Or maybe she was a drag queen. The restrooms in the parking lot do not segregate genders. There’s not a women’s restroom and a men’s restroom. 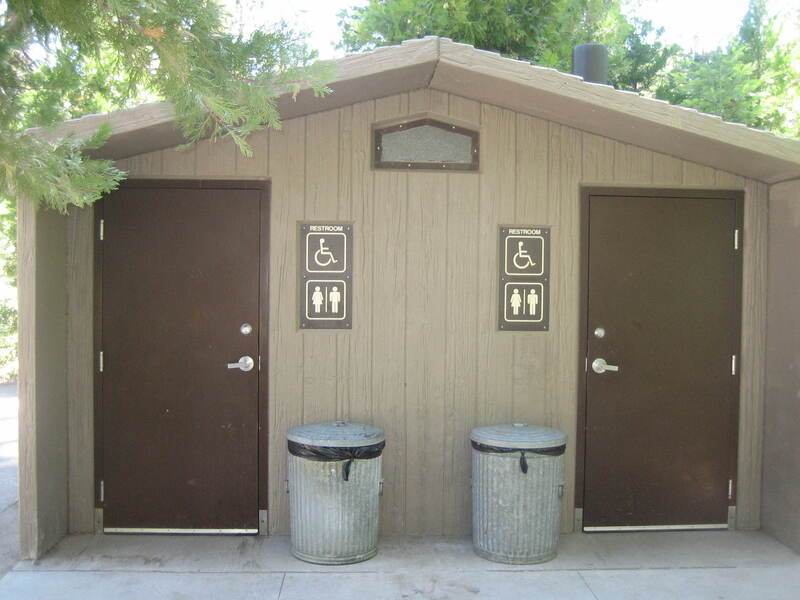 There are two restrooms, both accessible for folks with disabilities and both available to men or women or any other gender variety. 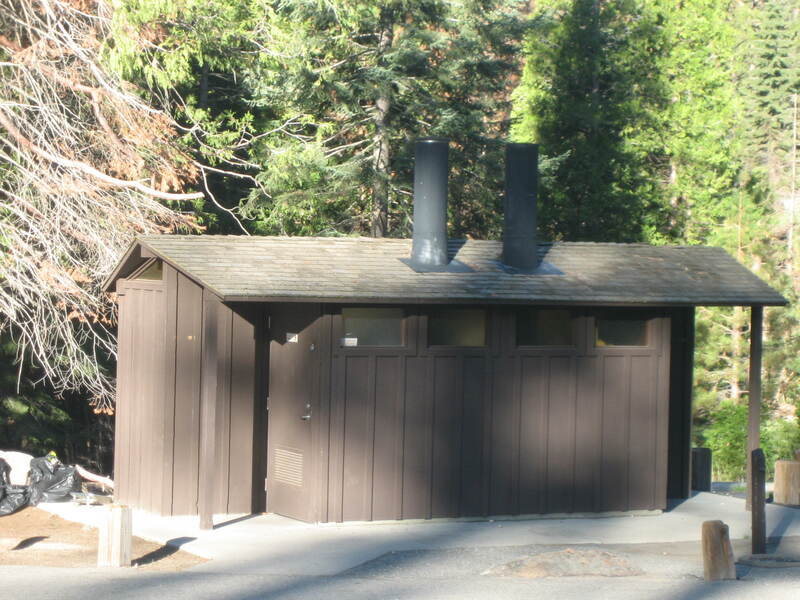 The signs have those humanoid figures representing males and females one finds on restrooms. 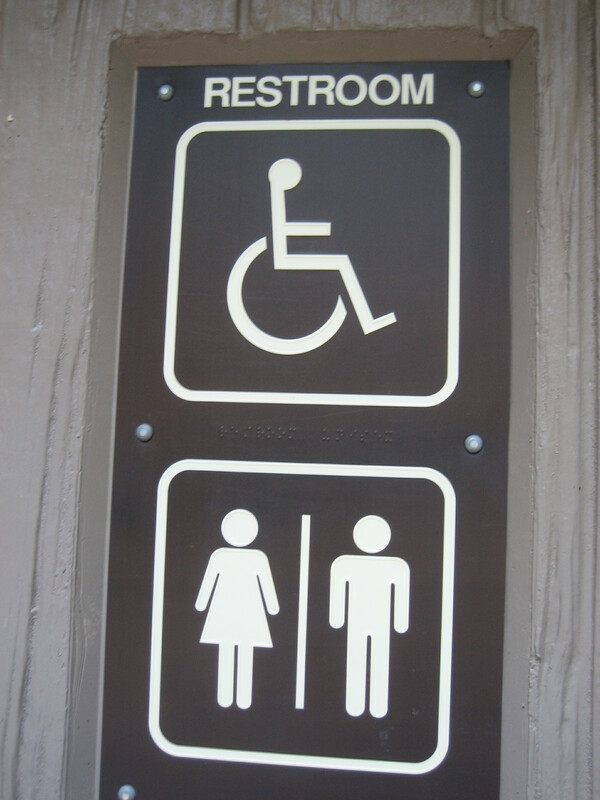 Each restroom displays both the “male” and the “female” humanoid symbols. The citified woman stood in front of the restrooms and repeated I don’t understand. I don’t understand. She said something else (that I now don’t remember) which made me realize she didn’t understand the signs and therefore didn’t know which restroom to use. I piped up helpfully, They’re unisex. “Unisex” did not seem to be in her vocabulary. Then the man reached out and tried the handle on the restroom door nearest to him. It did not open. It’s locked, he told the woman, seemingly perplexed. That’s probably because someone is in there, I said, still trying to be helpful. You should knock to find out if someone is in there. Both of them seemed to be ignoring me. Then the woman tentatively tried to open the other door. You should knock, I told her before giving up on trying to be helpful. The woman managed to open the door. She went into the restroom, and the door closed behind her. She immediately came back outside, shaking her head. 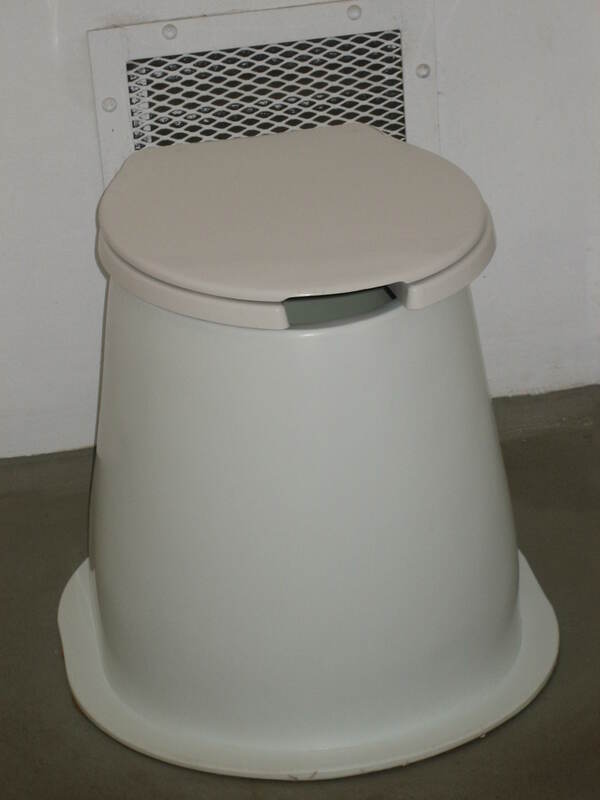 She said something quietly to the man, and I could tell she was disgusted, but whether by the bad smell or the fact that the toilet was vault style and not a flusher, I don’t know. At that point I’d collected the trash, so I got in the truck and drove away. Sometimes I wonder if what appears to be humans acting strangely aren’t actually space aliens confused by our human ways. How could a human someone not directly arrived from a developing nation have never encountered a unisex restroom? Target stores have unisex restrooms. Even Wal-Marts have unisex restrooms. And why didn’t the man know to knock on the door in order to find out if it was locked because it was in use? Doesn’t everyone know to knock on a locked restroom door? Space aliens I tell you.